In a move that would be more suited to the sartorially-savvy Venus sisters, or even Mr Cool himself – the Swiss maestro Federer, the current world number 1 Novak Djokovic has teamed up with Japanese clothing giant Uniqlo to become its Global Brand Ambassador. Having left his lucrative 8-year endorsement deal with the Italian sportswear brand Sergio Tacchini, the Serb was on the market for a new clothing sponsor and Uniqlo were keen to snap him up. The five-year deal, which is for an undisclosed sum but we imagine it to be quite substantial, requires Djokovic to wear Uniqlo clothing both on and off court and he will also be involved in designing and creating clothing. 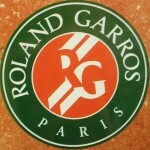 Regardless of how involved the top seed is likely to be in the creative and design processes behind the clothing ranges he will wear, tennis fans can expect to get a glimpse of them sooner rather than later as he plans to debut them at the upcoming Roland-Garros French Open Tennis tournament commencing in Paris on Sunday. With clothes that are neither high performance sportswear nor high fashion, Uniqlo’s fashion ranges do have that effortlessly relaxed sporty vibe about them. Already sponsoring the world number 18 player Kei Nishikori, this new endorsement deal is unlikely to create mass-market appeal for the brand but it could potentially increase its appeal in the professional tennis world.